Both Raquel and Markelle are Fusion Art’s Featured Artists for the month of March 2016 and, as the Best in Show winners, both artists are also invited to participate in Fusion Art’s Annual Group Show in Palm Springs, CA, in November 2016. The international juried competition was held from February 10h through March 24th and received entries from artists in over half a dozen countries including the US, Canada, England, Mexico, India, Australia, Pakistan, and France. The exhibition will be featured on the Fusion Art website until April 30, 2016. Light Space & Time Online Art Gallery is pleased to announce that its May 2015 art exhibition, the 5th Annual “Landscapes” Art Exhibition is now posted on their website and can be viewed online. Jupiter, FL, USA (May 4, 2015) — Light Space & Time Online Art Gallery is pleased to announce that its May 2015 art exhibition, the 5th Annual “Landscapes” Art Exhibition is now posted on their website and can be viewed online. 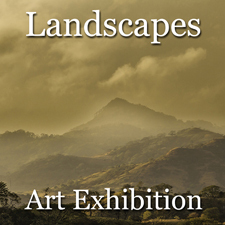 The “Landscapes” theme was considered to be any art which depicted the natural world, outdoor scenery, geographical environments’ and related landscape subjects for inclusion into this art exhibition. An international art competition was held in April 2015 which determined the art for this exhibition. The gallery received submissions from 19 different countries and also received entries from 37 different states. Overall, 598 entries were judged for this art competition. Lori McNee was the gallery’s Guest Judge for this art competition. Lori is a professional artist and a social media expert. She specializes in still life, and landscape oil paintings. Her website is http://www.finearttips.com. To proceed to the galleries 5th Annual “Landscapes” online art exhibition follow this link: http://www.lightspacetime.com/landscapes-art-exhibition-may-2015. Light Space & Time Online Art Gallery conducts monthly themed online art competitions and monthly online art exhibitions for new and emerging artists on a worldwide basis. The art gallery website can be viewed here: http://www.lightspacetime.com. Light Space & Time Online Art Gallery is pleased to announce that professional oil painter Lori McNee has been named as the gallery’s Guest Judge for the gallery’s 5th Annual “Landscapes” Online Art Competition. Jupiter, FL, USA (April 8, 2015) — Lori is an exhibiting member of Oil Painters of America, Plein Air Painters of Idaho, serves on the Plein Air Mag Board of Advisors. Lori is a certified Master Artist in Cobra Watermixable Oil Paints. As the owner of FineArtTips.com, Lori blogs about fine art tips, marketing and social media advice for the aspiring and professional artist. 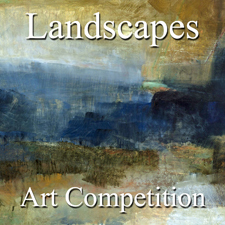 The 5th Annual “Landscapes” Online Juried Art Competition is for the month of April 2015. 2D and 3D artists (Including photography) from around the world are called upon to make online submissions for possible inclusion in to the Gallery’s May 2015 online group art exhibition. Light Space & Time Online Art Gallery announces its 5th Annual “Landscapes” online juried art competition for the month of April 2015. Jupiter, FL, USA (March 25, 2015) — Light Space & Time Online Art Gallery announces its 5th Annual “Landscapes” online juried art competition for the month of April 2015. The gallery urges all 2D and 3D artists (Including Photography) to submit their best landscape art for possible inclusion into the gallery’s May 2015 online group exhibition. A group exhibition of the top ten finalists will be held online at the Light Space & Time Online Art Gallery during the month of May 2015. In addition, Special Merit and Special Recognition categories as well. The submission process and the deadline will end on April 26, 2015. 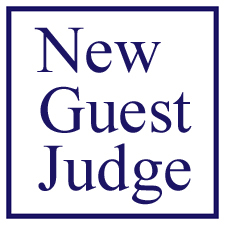 Lori McNee will be the gallery’s Guest Judge for this competition. Lori is a professional artist who specializes in still life, and landscape oil paintings. She is an exhibiting member of Oil Painters of America, Plein Air Painters of Idaho, and serves on the Plein Air Mag Board of Advisors. Lori is a certified Master Artist in Cobra Watermixable Oil Paints. As the owner of FineArtTips.com, Lori blogs about fine art tips, marketing and social media advice for the aspiring and professional artist. Lori is a #SocialTV correspondent pioneer, tweeting red carpet events for Entertainment Tonight, The Insider, Access Hollywood, and Vanity Fair. Her website is http://www.finearttips.com. Winners of the “Landscapes” Art Exhibition will receive extensive worldwide publicity in the form of email marketing, 70+ press release announcements, 75+ event announcement posts, extensive social media marketing and distribution, in order to make the art world aware of the art exhibition and in particular, the artist’s accomplishments. In addition, artists shall also receive a digital Award Certificate, Event Postcard, Event Catalogue, Press Releases and “Leveraging Your Success” marketing materials if they place in this exhibition.